This month a new ad campaign heralds the launch of Lucies Farm Scottish/Kobe Beef Premium gourmet dog food. Created by advertising agency Banks Hoggins O’Shea FCB, the press and poster campaign plays on the desires of “pet parents” who believe that their furry companions deserve nothing but the very best including a healthy dog diet. The ads show a series of pampered pooches in a selection of ridiculous outfits, accompanied by the tagline, “You Owe Me.” The put-upon dogs clearly consider the premium gourmet dog food produced by Lucies Farm the only appropriate "payback" for all the humiliating experiences their owners have put them through. Scottish/Kobe Beef is treasured for its fine flavour and well-marbled meat. The prize-winning Highland cattle of Lucies Farm are raised in the traditional Japanese fashion. Massaged regularly, they are fed beer from a nearby microbrewery, along with a healthy diet of fine grain, giving the meat an unsurpassed flavour and texture. Lucies Farm cattle have won awards at local and national competitions, and the beef has earned raves from consumers who find it to be without peer. A first choice for gourmets, Lucies Farm Scottish/Kobe Beef is now available for dog owners who want to ensure that their pets receive the highest level of nutrition in a healthy, natural, and nutritionally balanced homemade food product. This gourmet dog food is the finest choice for a healthy dog diet. 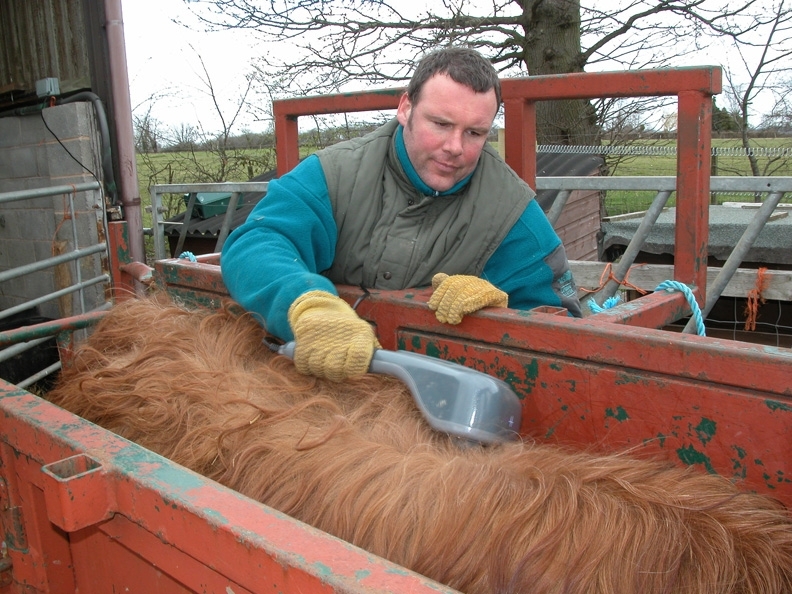 Lucies Farm Ltd. is one of the leading breeders of pure Highland cattle in the U.K. and the only breeder of Scottish/Kobe beef. The Lucies Farm fold was founded in 1992 by Marjorie and Craig Walsh, who have watched their business grow and expand in many directions over the past decade. Their personal success story motivated the Walshes to offer the food on a limited commercial basis to their customers. The gourmet dog food is packaged in a 1 Â½ kg plastic tub (Â£5.63 plus VAT) and is shipped frozen via overnight courier. Once thawed, a tub will feed a mid-sized dog for two to four meals and keep his or her tail wagging with pleasure for a lifetime. The Rolls Royce of the Lucies Farm dog food "menu" is a stunning, customized birthday cake. In keeping with a healthy dog diet, no harmful additives, chemicals, or preservatives are added. 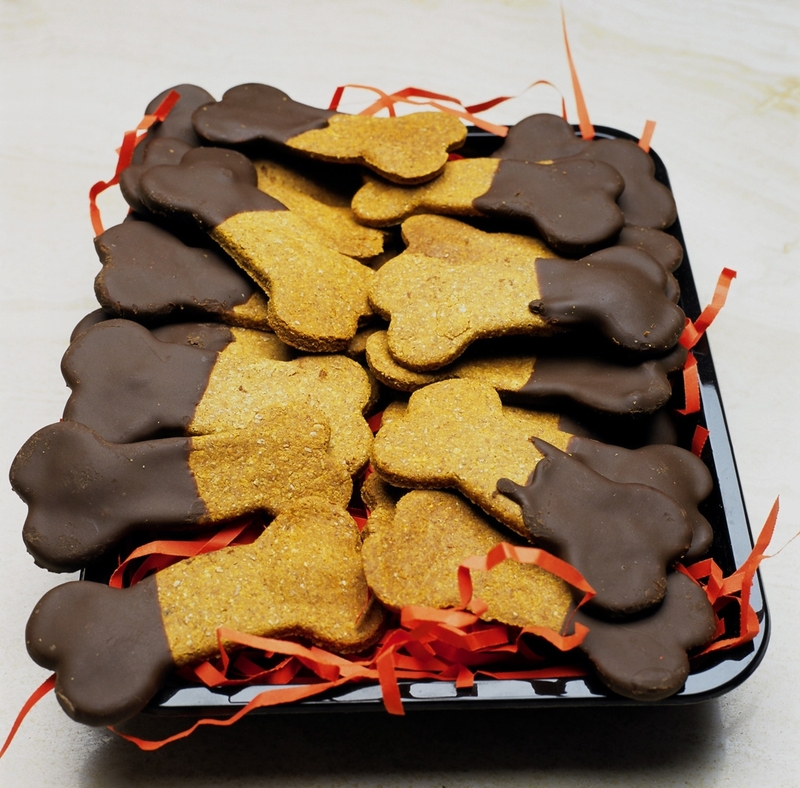 The result is a birthday cake carefully formulated for dogs, but easily shared with humans. But, says Marjorie, "what people really love is that we decorate the top of the cake with a picture of their dog painted in the icing." To create the portrait, a combination of a special dissolving paper and food-grade inks are used. 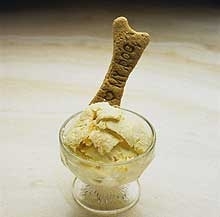 Lucies Farm’s gourmet dog food selection includes further doggie delectables such as Haddock Ice Cream, Doggie Biscotti, Doggie Peanut Butter Cookies, Aniseed Dog Cookies, and Oatmeal Cookies, hand-dipped in carob. All the recipes were selected for their dog-friendly flavors. Aniseed is like catnip for dogs, and the double-baked biscotti also come in pooch-pleasing banana flavour. For dogs (and owners) with a taste for the exotic, Poi Dog Biscuits are the answer. In 1999 the Walshes worked with a leading canine nutritionist, Dr. Edward Moser, and created the "formula." Poi, a grey paste made from the taro plant, is a staple of the Hawaiian diet, and is believed to have mystic properties. Although they are manufactured in England, Poi Dog Biscuits are exported back to Hawaii for dogs on Maui, Kauai, and the other islands. Most consumers are barking up the wrong tree when it comes to a dog’s nutrition. Many commercial products are made with unhealthy, unnatural, non-nutritious ingredients such as animal by products, derivates, and filler. All Lucies Farm products are available from the Company’s secure website, http://www.luciesfarm.com . Products can be ordered online, and are shipped promptly by overnight courier. For media contact: Marjorie and Craig Walsh at 01905-830-380 or craig@luciesfarm.com .